Our state-of-the-art precision transponder key programming equipment and our laser key cutting instruments will replace lost keys, with specialized transponder key programming that work as perfectly as your original set. 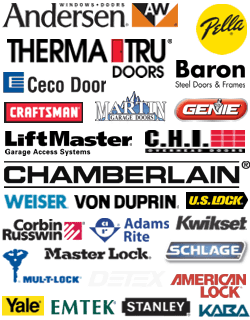 Our DC Local Locksmith Experts can help you with any lock and key related emergency. We offer 24/7 service. When you visit our website you will have direct access to our “Live Chat Staff” services for immediate response. Our Transponder Key Programming team are located in Washington, DC and surrounding areas to provide reliable response time. We guarantee a 30 min response time from receiving your call for help. We identify our staff so you know who they are when they arrive. You will find our expert DC locksmiths are professional, friendly and focused on helping you quickly. They know your time is valuable so they will be intent on providing quality service that is fast and reliable. Transponder key radio signal operations are no mystery to our expertly trained locksmiths. The have the skills to know which high-tech tools and technology applies to your make and model vehicle, whether it is domestic or foreign. They will completely test your transponder key replacement to ensure your programming works the first time and every time. 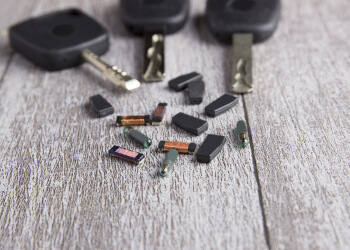 Our state-of-the-art precision transponder key programming equipment and our laser key cutting instruments will replace lost keys, with specialized transponder key programming that works as perfectly as your original set. During our 5+ years experience, we have been helping people find solutions to security concerns from Washington, DC and surrounding areas. We bring the same quality of friendly, timely customer service and flawless locksmith services into our transponder key programming and replication. You will come to know our service as a trusted 24/7 locksmith service that can help you in an emergency, or even help you prevent one. You can call us anytime whether your vehicle key system is programmable technology, proximity keys or a traditional car key, we have the precision technology to service you with best of quality practices. We know our customers can feel stressed when something crazy happens like locking keys in a vehicle during errands before work, or misplacing keychains at lunch. We are here to get you back on schedule with little or no disruption. We love being your hero, and keeping local mobile locksmiths ready to respond on a call helps you on your way. 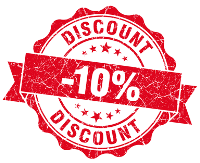 You will feel confident immediately with our upfront pricing policy. Our complete locksmith service includes all types of foreign and domestic vehicle keys. We can help whether your key has been lost, stolen, broken or misplaced. If you find yourself stranded in Washington, DC and surrounding areas, call us for an immediate response from our expert technicians. All of our Washington, DC automotive locksmith staff are highly trained with 5+ years experience, bonded and insured. Plus, our 24/7 locksmith service is equipped to make sure you have a completely workable car key replacement. Knowing the way life is, we tend to find ourselves stranded at the worst possible times, that is why DC Local Locksmith Experts is available in Washington, DC and surrounding areas. To keep safe, punch our emergency phone number into your cell phone directory now, you’ll always have it when you need it – no matter where you are! DC Local Locksmith Experts cares about our customers, we can reduce your stress with upfront pricing and a complete locksmith service. Our team will manage all your needs from expert lock repair, key replacement or duplication as well as other security services you want in Washington, DC and surrounding areas. Just leave it to us to get you back on the road again! Transponder Key Programming https://dclocallocksmith.com/automotive-locksmith-dc/transponder-key-programming-dc/ 3.9/5 based upon 17 reviews.